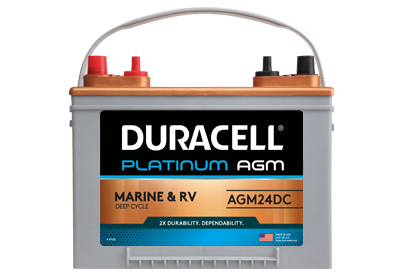 Duracell Platinum AGM premium batteries provide maximum starting performance and plenty of accessory power for your live-wells, GPS systems, stereos, hazard lighting, or other item that plug into your boat or RV. With 20x the vibration resistance these batteries resist wave-pounding vibration or the worst road conditions much better than conventional designs. 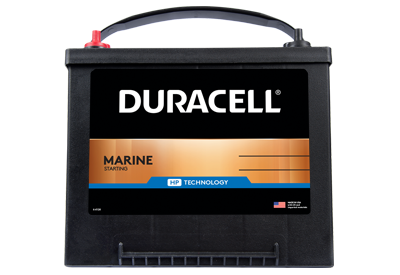 Duracell Marine Starting batteries deliver trusted power whether you’re right by the dock or miles from shore. Designed to deliver energy faster, these batteries have the power necessary to quickly turnover motors with every turn of the key. 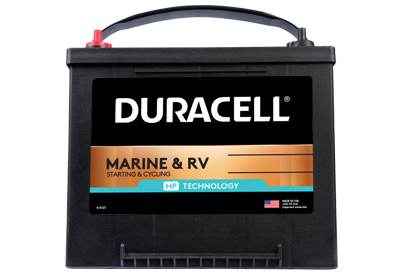 Duracell Marine & RV Dual Purpose batteries are ideal for high starting and moderate deep cycle service. Delivering more power-per-pound with reinforced components, they provide longer cycling service than starting batteries to provide more accessory power longer. 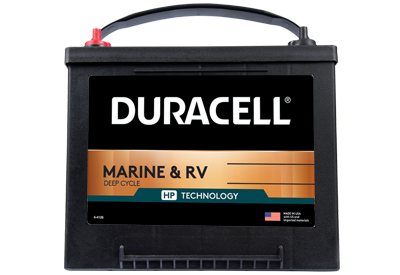 Duracell Marine & RV Deep Cycle batteries deliver the long, slow discharge of power necessary to run trolling motors or heavy marine accessory loads. Built-in protection against deep discharge damage provides added resistance against the rigorous wear of continual deep cycle use, such as extended trolling. These batteries also deliver moderate power for starting.